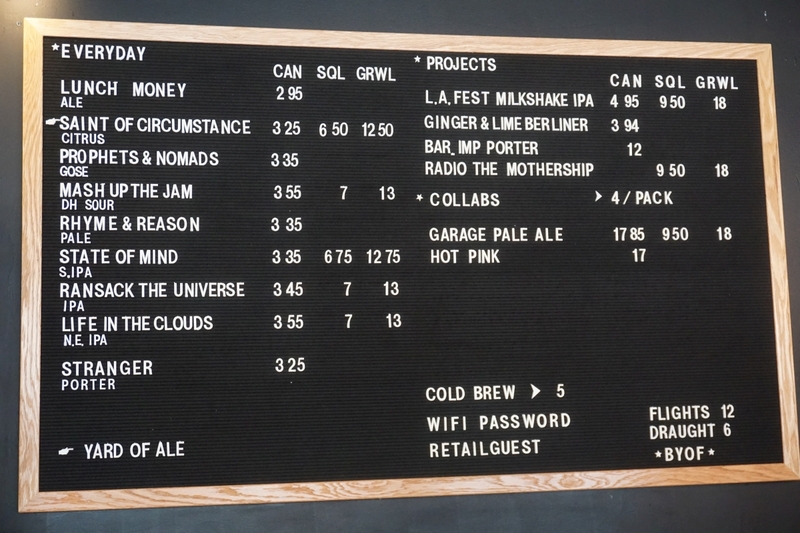 Left Field is one of the commonly recommended breweries in the Toronto area and I didn’t make it there last year. It is quite a bit east so if you are staying downtown it is quite the trek. After having gone out there I am more likely to grab some bottles from the brewery to take home instead of drinking there because they have such a small tap room that gets noisy quickly. It is also a bit of a walk from the nearest metro station. I started with the raspberry hibiscus gose. The beer had a lot of raspberry on the nose but not so much in the taste. The flavor was more subdued berry and prominent hibiscus. It was a solid beer but I would have preferred more berry. The Greenwood IPA was lovely soft body with notes of citrus and vanilla and not too bitter. This was my favorite beer of the bunch. The Vermont Style Double IPA was not particularly hazy but had a nice soft body making it somewhat enjoyable. Rather than a juice bomb of a hazy beer it was earthy with subdued bitter finish. 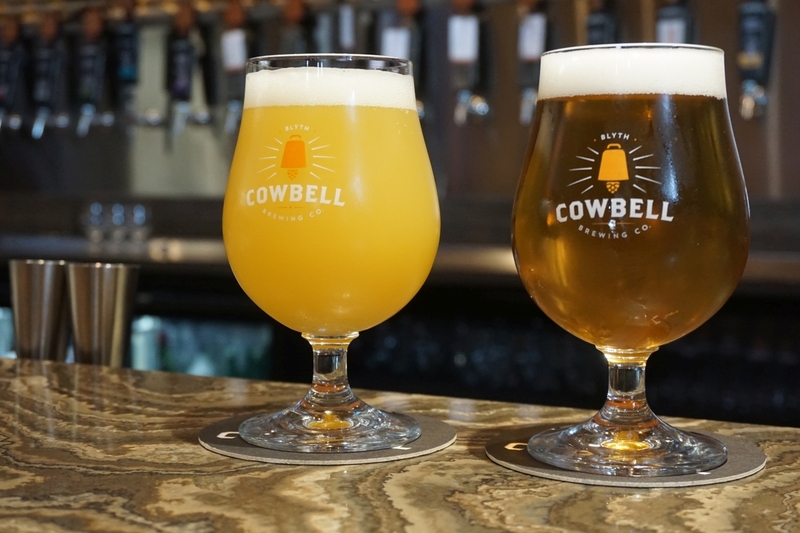 My friend had the milkshake IPA with coconut and pineapple. I tried a few tastes and it was exactly a pina colada. 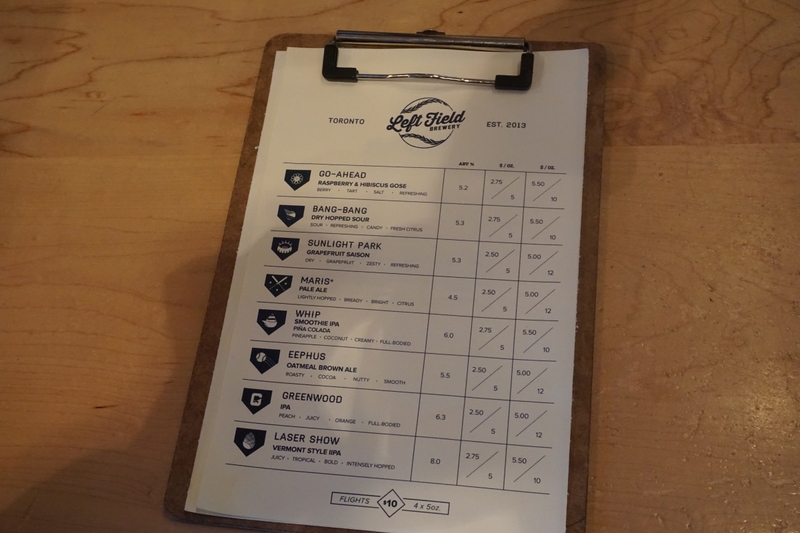 Left Field had excellent beers as I had expected though in the future i would not order a full pint of their hazy IPA blind. I will be grabbing some bottles of Greenwood IPA when I can find them in future trips. From Left Field we walked about 15 minutes to Godspeed. 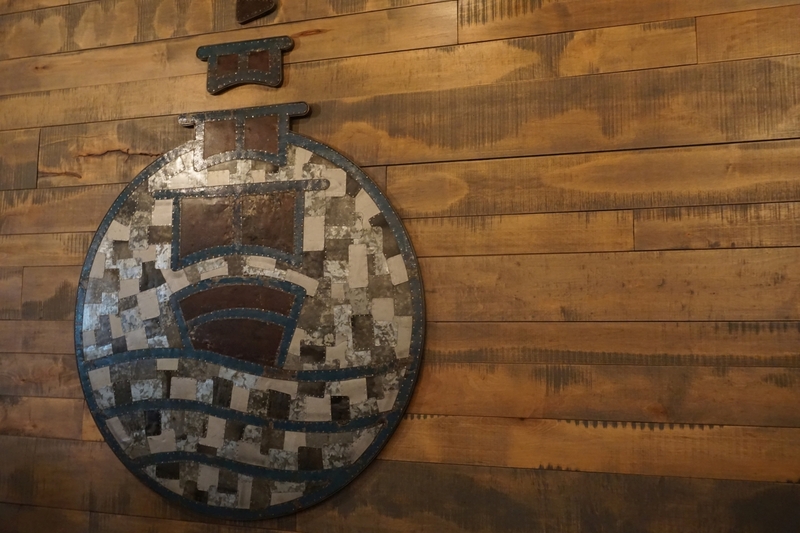 They have a modern interior and Japanese theme with an eclectic variety of beers. There wasn’t anything particularly hoppy and hardly anything following the typical trends. Instead, they had a lot of classic styles mostly saisons and German styles. 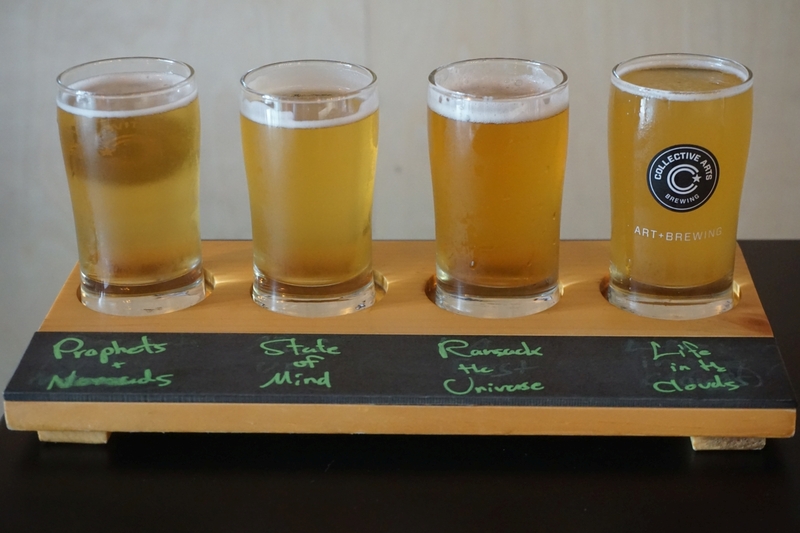 They also didn’t seem to offer taster flights. I had a fairly standard dry-hopped saison that wasn’t particularly hoppy but nice and funky and mildly earthy. 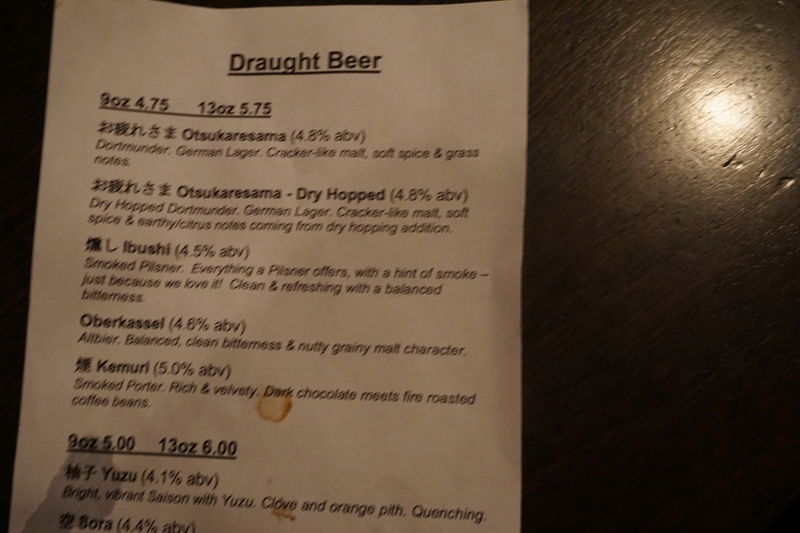 My friends ordered the Green Tea IPA and dry-hopped Dortmunder. Again neither beer was particularly hoppy. The Green Tea IPA mostly just tasted like green tea so I am glad I didn’t order that one. The dortmunder was nice and to style, dry with roasty cracker and mild vanilla and caramel. I ended with the imperial lager with coffee, which was a bit thin on the body and too sweet for most of the people at the table. It was good and creamy with mild coffee and roast though again overall subtle. 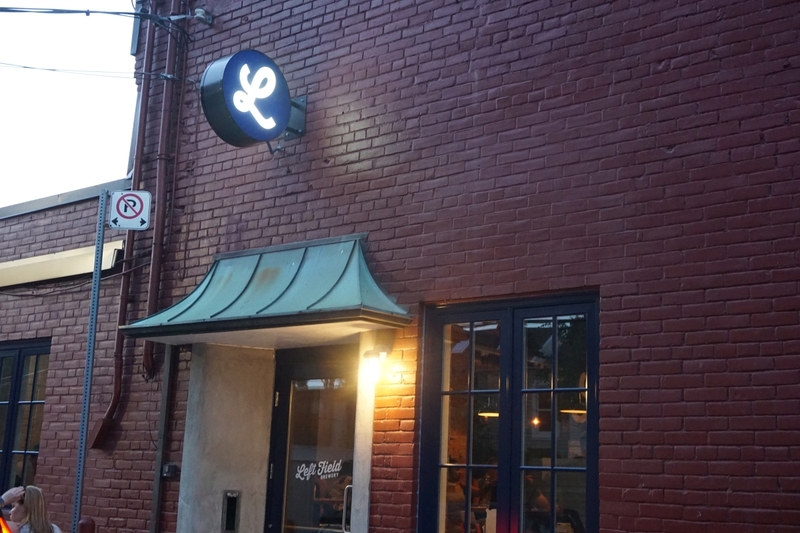 Godspeed is hyped based on the brewer’s history at Dieu du Ciel but don’t expect anything like what you would get at Dieu du Ciel or other nearby breweries. 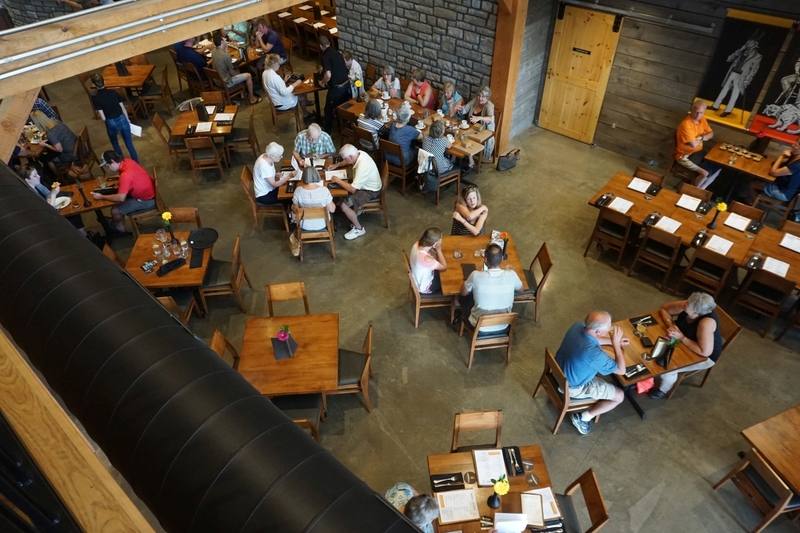 If you don’t expect anything hoppy and enjoy classic styles you might enjoy stopping in for a visit especially if you are feeling like eating from their Japanese-inspired menu. 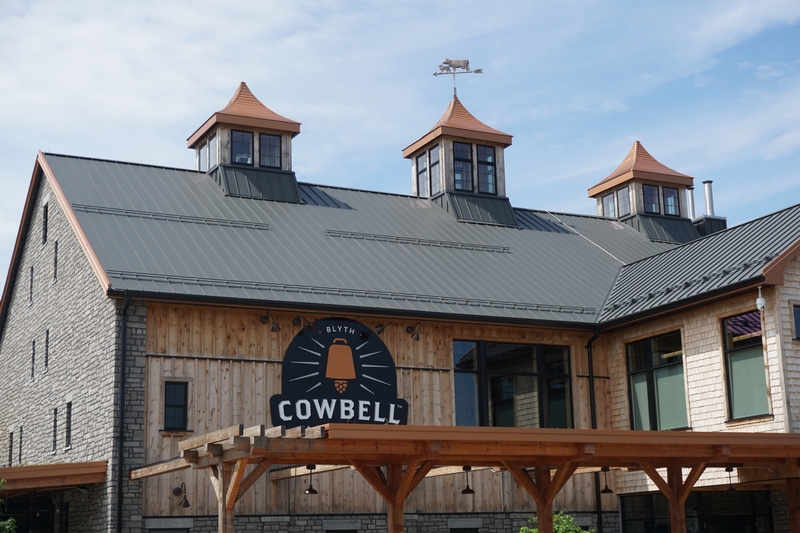 While it was an interesting experience, I don’t think this is a brewery I would return to with so many other options in Toronto that are more my style. Expect classic beers that don’t use a ton of hops even when labeled dry-hopped. A great place to explore traditional styles that aren’t usually done right elsewhere. Collective Arts is about an hour outside of Toronto so it is best visited on your way back from Niagara if you are going out there. 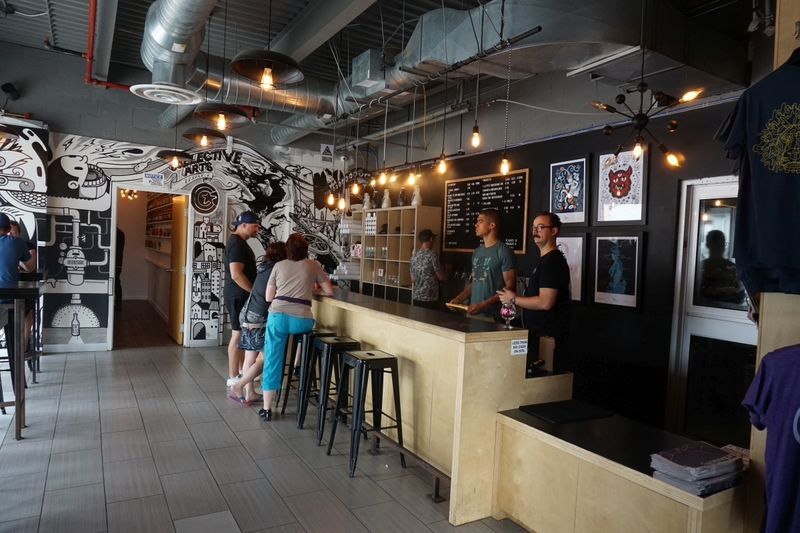 It is a fairly small tasting room and you can tell that a lot of the people are just stopping by to grab a few cans and take them to go. 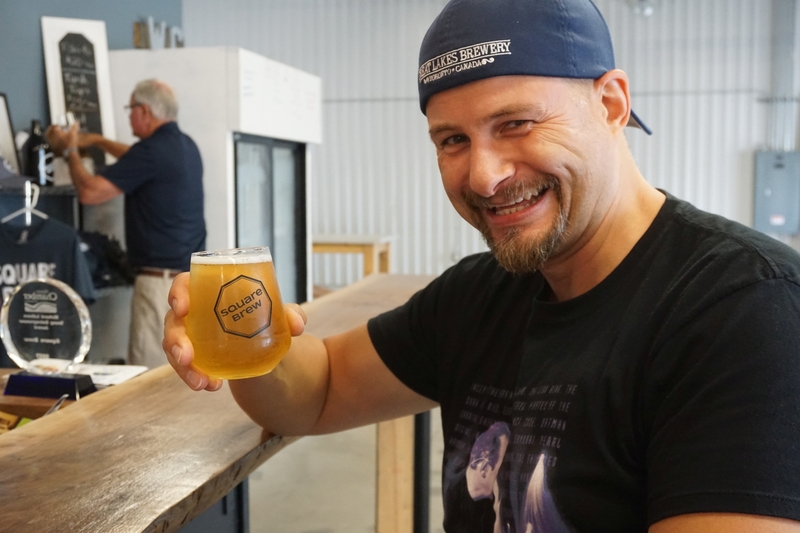 If you are visiting Toronto you can easily find their beers around town on tap or in the LCBO so only the most devoted should take the trip out to the brewery. 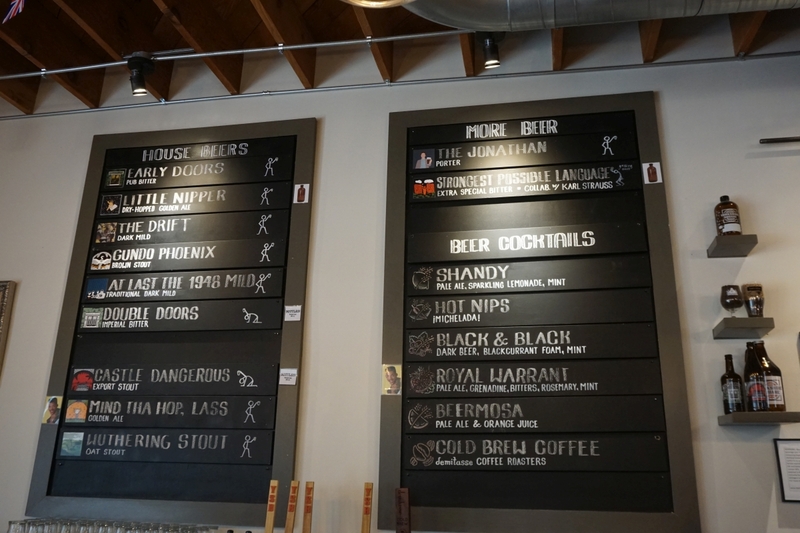 Even a few beers you can’f find in cans are generally available on tap somewhere. I started with a taster flight before having a full pour. I got the gose and three IPAs to start. 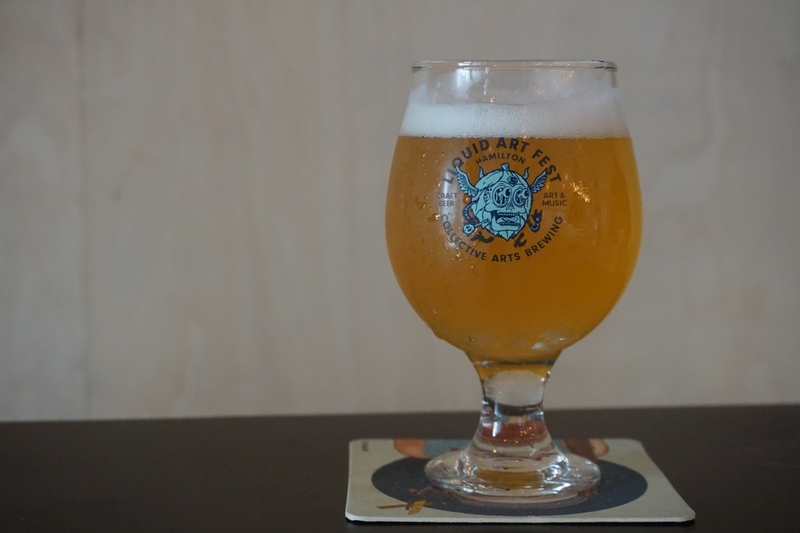 The gose was nice and complex with mild lemon notes, light tart finish and subtle funk. Of the three IPAs on my initial flight, life in the clouds was by far my favorite. State of Mind was a solid IPA with notes of melon and bubblegum with a bitter dry finish. Ransack the Universe was herbal and dry with a prominent lingering bitterness that was a bit too much for my tastes. Life in the Clouds was creamy with prominent tropical fruit, guava, and grapefruit notes and a mild bitter finish. This is a solid hazy IPA. I finished with a full pour of their Brut IPA. It was super carbonated and dry like you would expect but also prominently featured herbal hop flavor. Though I would have preferred different hops it was well made for the style. 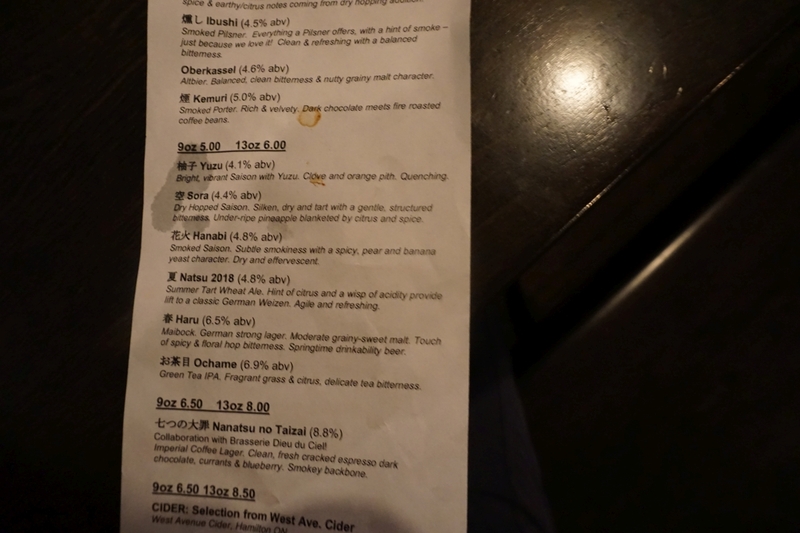 Collective Arts had some solid IPAs but nothing was so much better than the other breweries in Toronto that I would visit the brewery directly again. 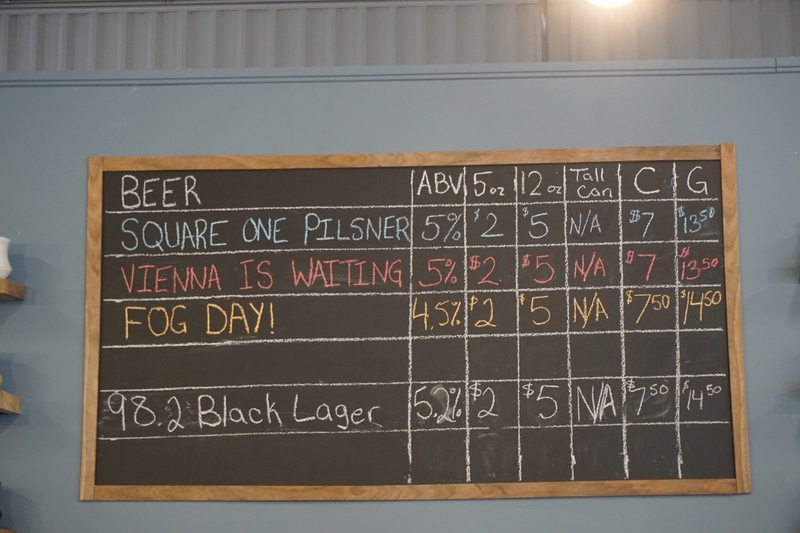 The quality was in line with most of the other Toronto breweries. 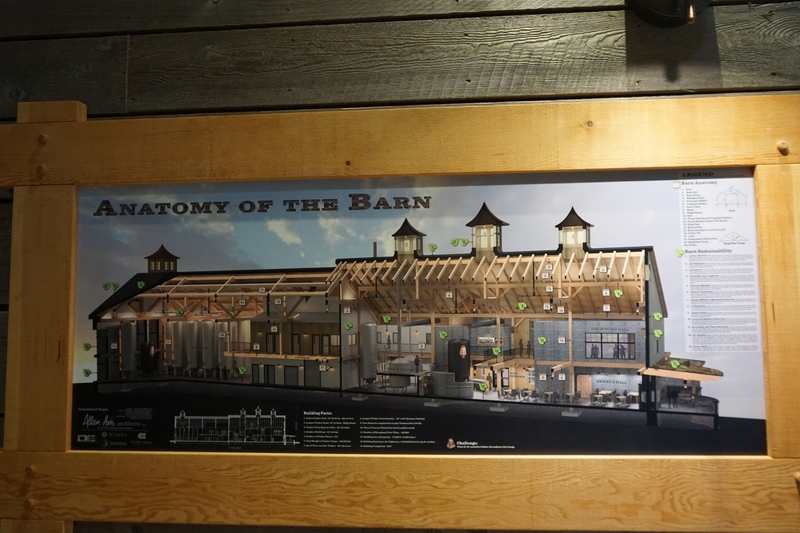 The tasting room had air conditioning and wasn’t too loud when I visited fairly early in the day. 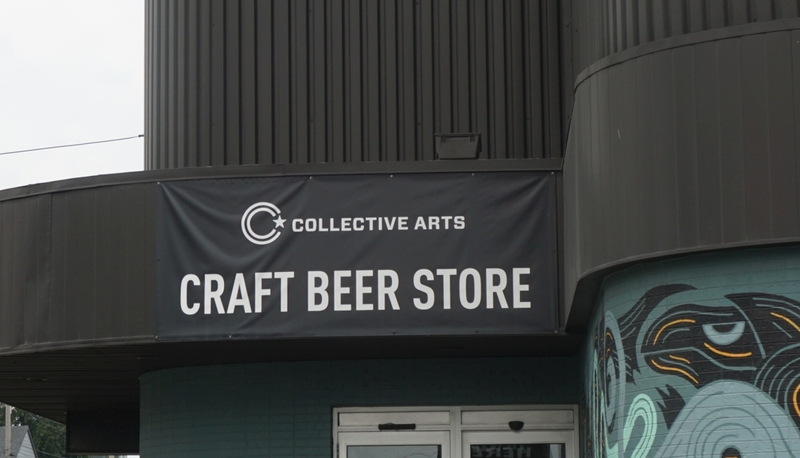 Collective Arts is mostly known for their IPAs, both West Coast style and modern hazy so look for their IPAs in the LCBO. 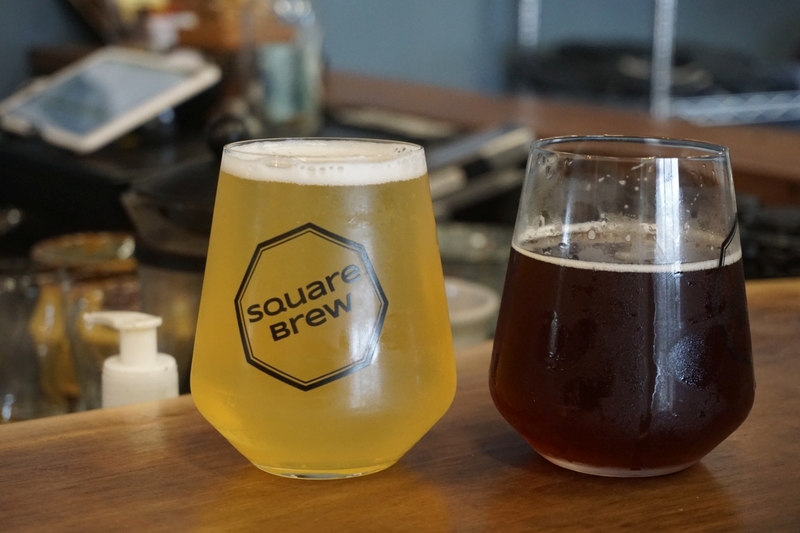 Yorkshire Square Brewing Company is in Torrance right near Monkish brewing and serves a different clientele so hopefully they can both do well despite being so close together. 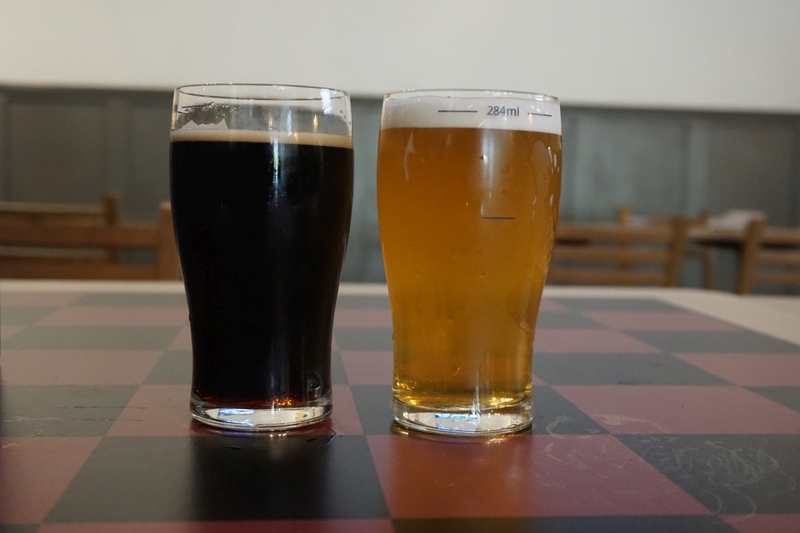 They have a focus on English style beers primarily served on cask. 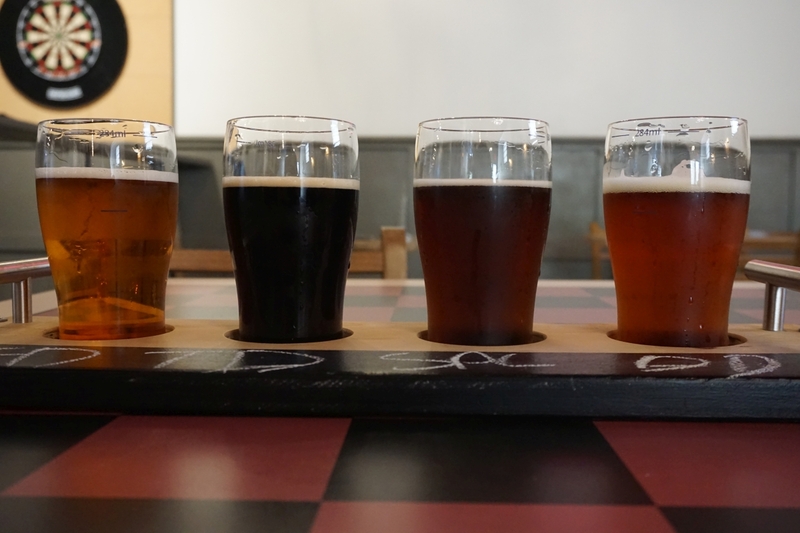 They offer flights using the 10oz glass so that you can try four without ordering a full pour of any of them. 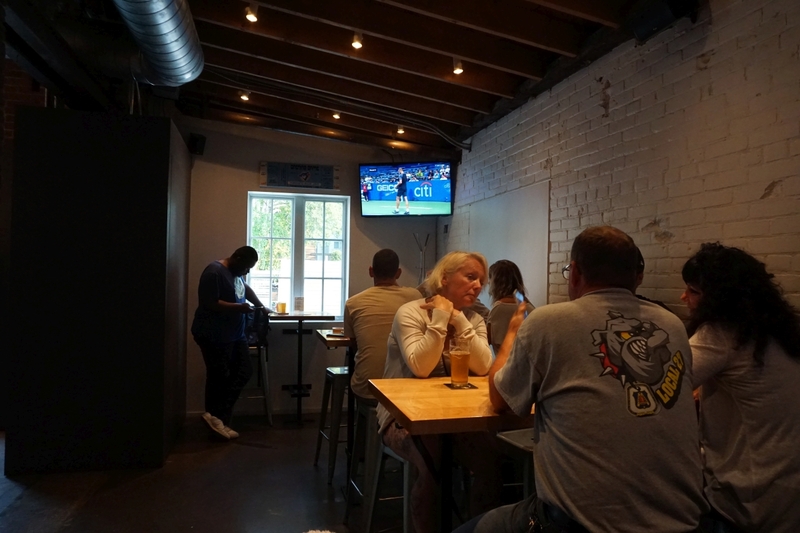 The tasting room is a good size and has plenty of seating and regularly visited by a food-truck. The traditional bitter was lightly toasty with a lingering bitterness, notes of herbal hops and acorn. It was a solid beer though not really my style. 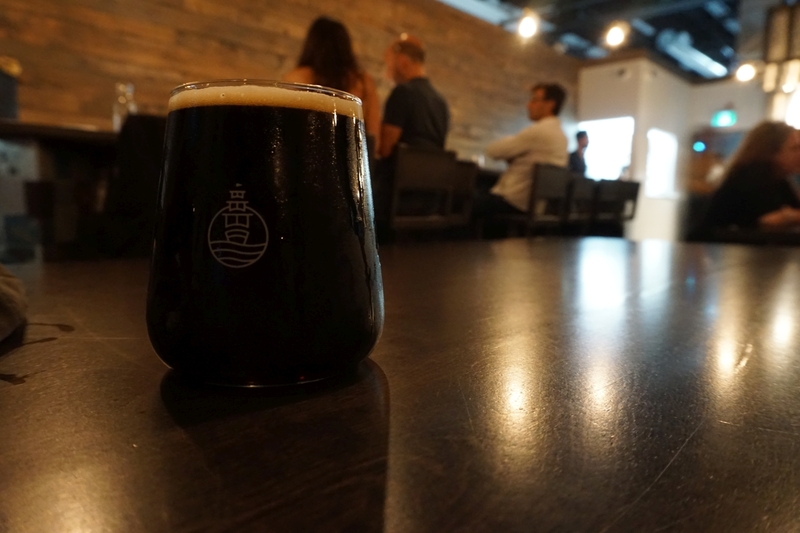 The dark mild was delicious with notes of roasted malt, light coffee, and a hint of molasses. 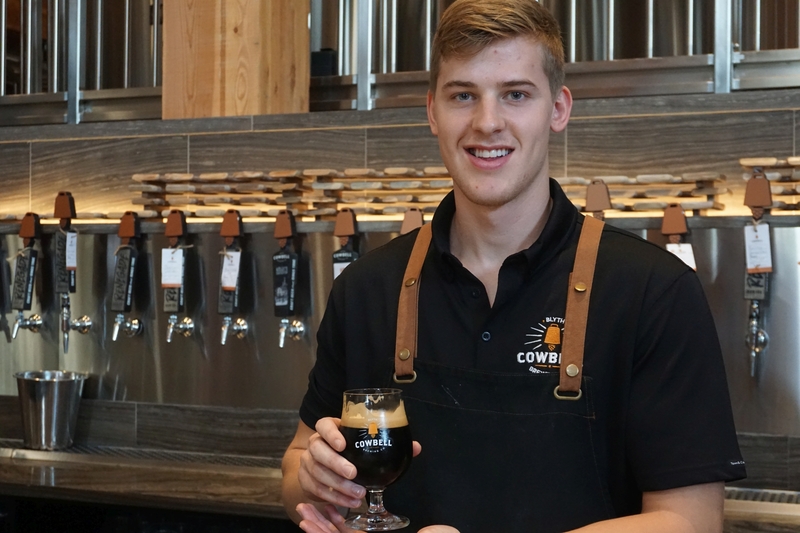 It is a lighter take on a porter or a stout yet easy to drink a pint because of its low alcohol. The dark mild had a good medium body and a dark amber color. 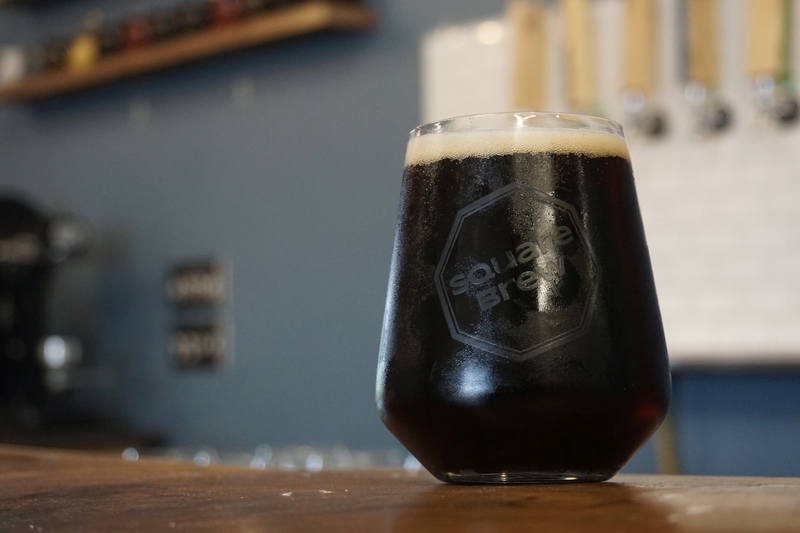 The ESB was tasty with notes of plum, mild floral hops, and hints of candied apricot. It was good and balanced without being too bitter. The Imperial Bitter was a bit stronger than I thought I was ordering when I saw it. I figured it might be 5% but it was closer to 8%. To me it seemed like a slightly weaker version of a barleywine. 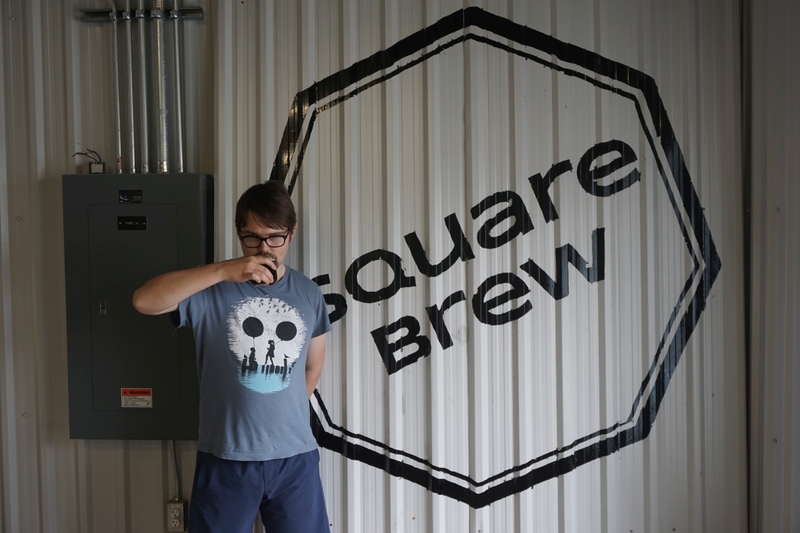 It was caramel forward with prominent herbal hops, notes of raisins, and a sticky sweet finish. The golden ale was nicely balanced with notes of floral hops and a good dry finish without being too bitter. The oatmeal stout was nice and chewy with notes of chocolate and raisins. A solid balanced stout. 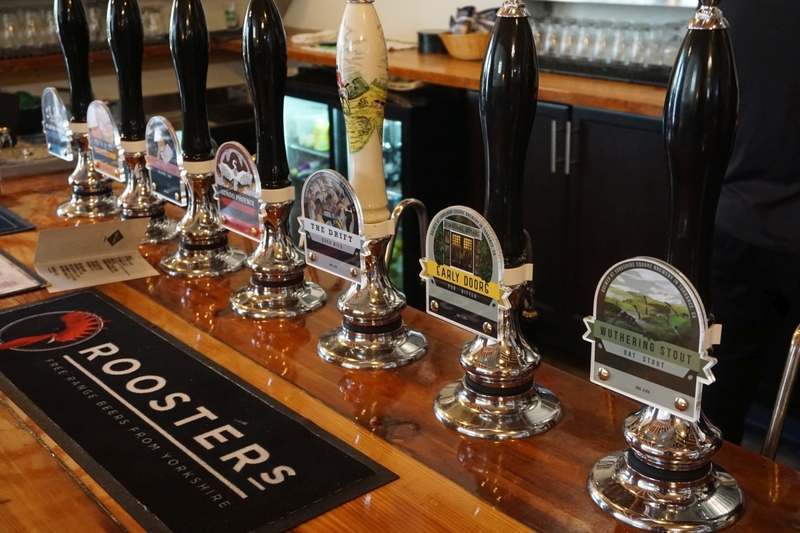 If you happen to be in the Torrance area and aren’t feeling like drinking classic West Coast style beers, Yorkshire is a great spot to stop in for an English style beer or two. They said they were also quite packed during a few of the world-cup games.